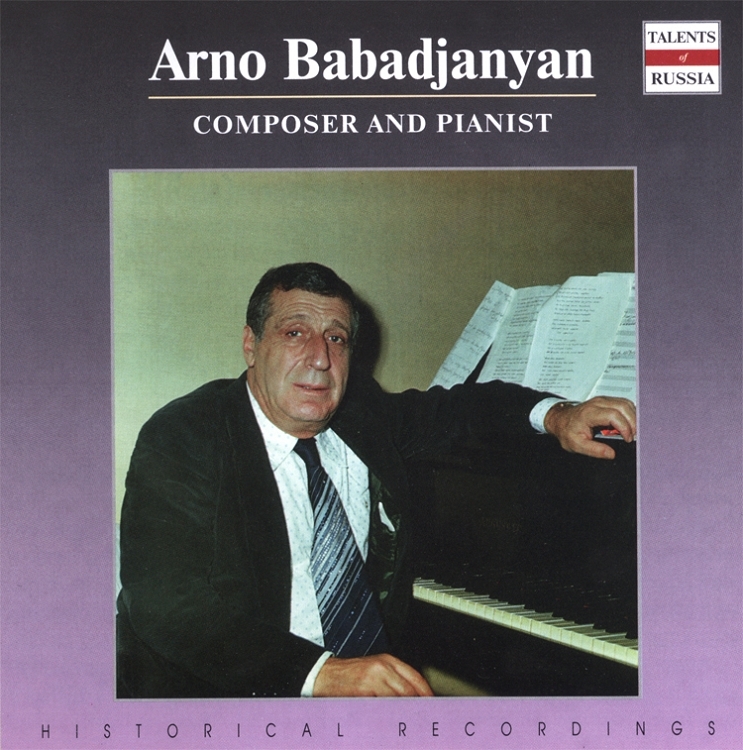 Arno Babadjanyan: Composer and Pianist is a CD compilation of some of Babadjanyan's finest work. It also features performances by the Armenian Radio and Television Orchestra, the All-Union Radio and Symphony Variety Orchestra and many other talents. This CD, which includes performances recorded over the course of thirty years from 1953 to 1983, includes notes in English. 10. Fantasy on "Give Me My Music Back"
11. Fantasy on "Dum Spriro Spero"
12. Fantasy on "Winter Love"
13. Fantasy on "Call Me"